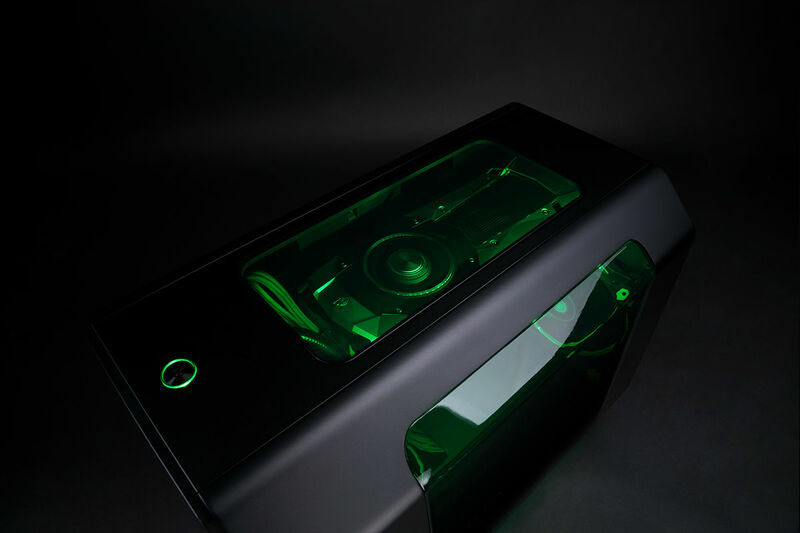 MAINGEAR this week introduced the first small form-factor Razer Edition desktop aimed at loyal clients of Razer. 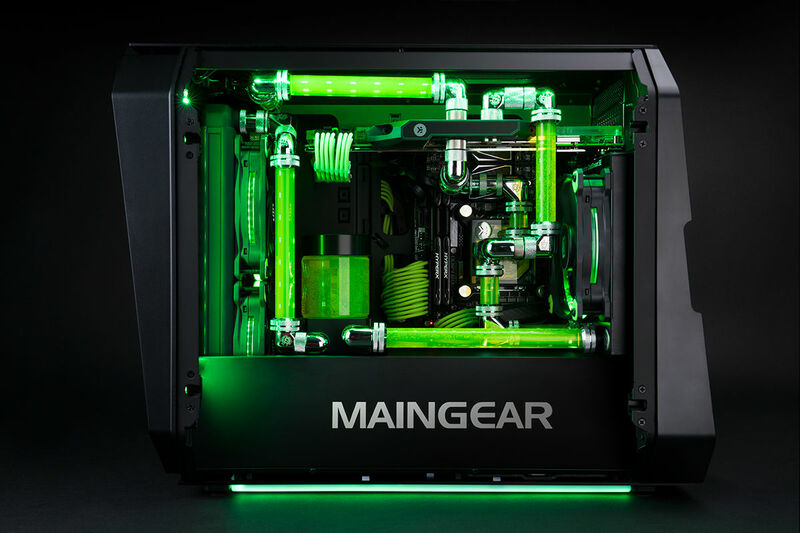 The new MAINGEAR R2 Razer Edition uses AMD’s and Intel’s latest platforms and comes with a lot of green lights, green coolant, and other green features to reflect the company’s main color. Razer has made quite a name for itself over the years in the gaming laptop market, but instead of entering the desktop business, the company decided to collaborate with renowned system builders to produce "Razer Edition" PCs. This enables Razer to offer Razer-branded desktops customers without entering a highly competitive market, whereas its partners gain access to Razer’s customer base. So far, Razer has collaborated with Lenovo and MAINGEAR for tower gaming desktops aiming mainstream and no-compromise gamers. 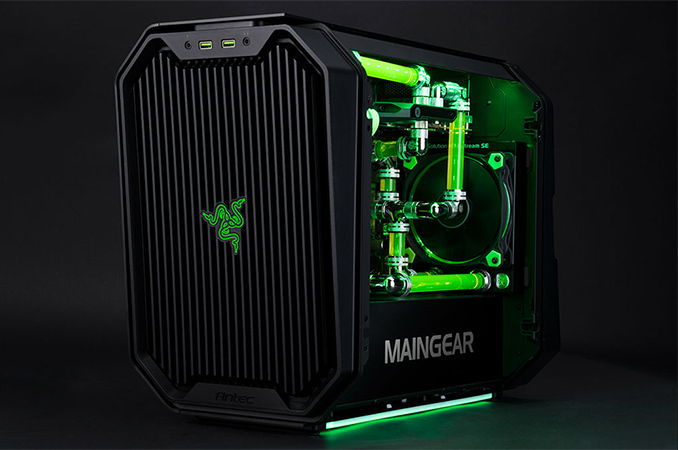 With the MAINGEAR R2 Razer Edition, the two companies offer something for those who are looking for a miniature system featuring extreme components with further overclocking potential and liquid cooling. The MAINGEAR R2 Razer Edition is a Mini-ITX desktop that can fit in a motherboard based on AMD’s B350 or Intel’s Z270 chipset as well as an AMD Ryzen R5/R7 or Intel Core i5/i7 CPU respectively. 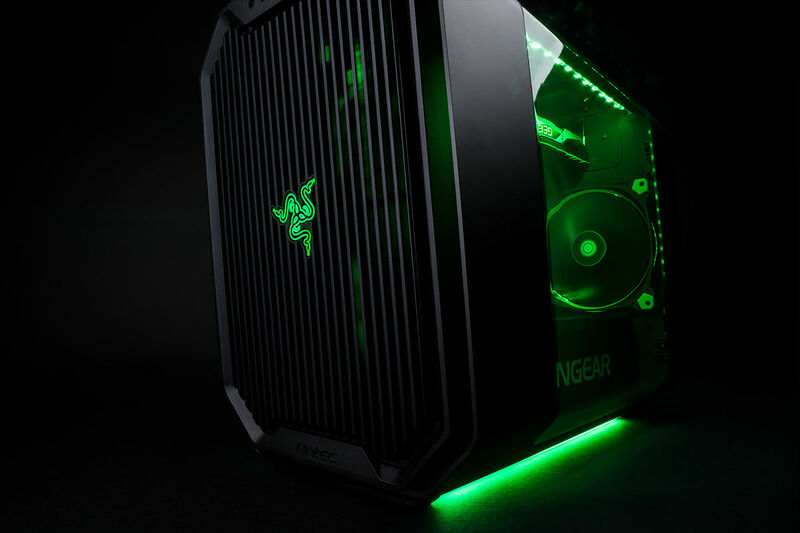 Keeping the form-factor in mind, the R2 Razer desktop can fit in one graphics card (up to NVIDIA’s Titan Xp), one 3.5” or two 2.5” storage devices, as well as one M.2 PCIe 3.0 x4 NVMe SSD. Unlike many contemporary gaming desktops, the MAINGEAR R2 can accommodate a 5.25” ODD, and when equipped with an appropriate drive, can playback Blu-ray disks. When it comes to the motherboard choice, MAINGEAR offers ASRock AB350 Gaming-ITX/ac for use with AMD's Ryzen processors or ASUS ROG Strix Z270I Gaming or MSI Z270I Gaming Pro Carbon AC for Intel’s Core i7 CPUs. All of the motherboards feature GbE, 802.11ac Wi-Fi, Bluetooth 4.2, 7.1-channel audio, as well as USB 3.1 connectivity. MAINGEAR’s product brochure for the R2 also mentions ASRock’s X99 Mini-ITX motherboard, but at this point, it is impossible to order such a system, which is not surprising as this is an outgoing platform. Cooling is crucially important for high performance gaming PCs and MAINGEAR offers many options for the R2 Razer Edition. For entry-level builds, MAINGEAR can install AMD’s or Intel’s retail CPU coolers and keep stock cooling systems on the GPU. For something more advanced, the company offers the closed loop EPIC 240 LCS for the CPU. For high-end configurations MAINGEAR can also build a custom open loop LCS for both the CPU and GPU featuring soft tubing and a 360 mm radiator, whereas for ultra-high-end builds the PC maker can design a custom LCS with crystal or metal hardline tubing, chrome fittings, and other stylish components. MAINGEAR’s R2 Razer Edition desktops are now available from the company’s web site. Entry-level machines featuring AMD's Ryzen R5 or Intel's Core i5 start at $1099 and $1199, respectively. Meanwhile, SuperStock configurations featuring a customized LCS with hardline tubing and top-of-the-range CPUs and GPUs start at $4299 or $4399 depending on the platform. That is the most ridiculous thing I've ever seen on the internet, I'm sure. I hope whoever designed that did so against their will, and were tasked with making something that people would be so ashamed of they'd lock it in a cupboard. I personally find the green slime tubes rather fetching. Admittedly though I am a 90s kid that grew up on Nickelodeon slime so it might be fond nostalgia. Agree with you on the ostentatious windows; though if you're paying a premium for someone to do a computer for you it might as well show off their good cabling.